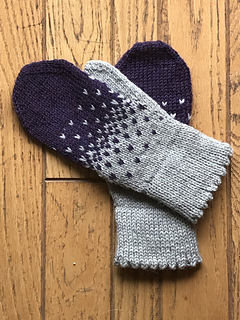 Feminine picot edging and a contrast turned hem adorn these cozy mittens, which have been designed to match the Manning Park Hat, the Manning Park Cowl, and the Manning Park Socks. 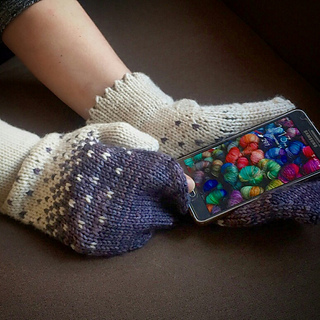 One of the mittens has a cheeky buttonhole worked part way up, so you don’t have to take your mittens off to use your phone! 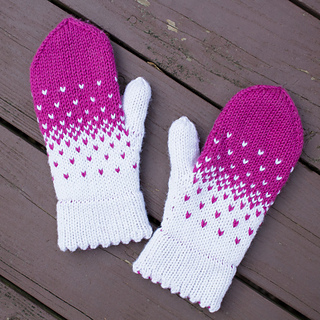 The easy-to-memorize colourwork pattern adds a bit of fun. Cuff diameter = 8”; height = 10”. 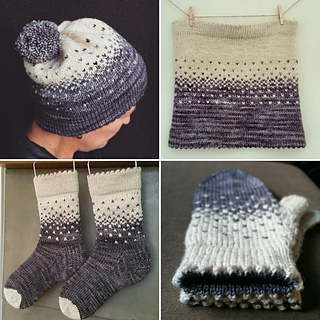 Advanced beginner or intermediate knitter familiar with provisional cast-on; turned hem; K2tog and SSK decreases; M1L and M1R increases; and YOs. 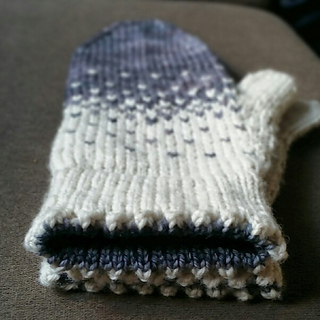 You should also know how to graft with the Kitchener stitch, and be familiar with stranded colourwork. 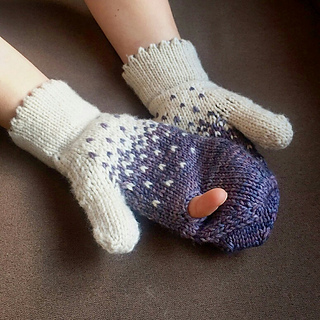 The mittens are knit from the bottom-up, in-the-round. Instructions are provided for magic loops, but feel free to use DPNs for working in-the-round, if that is your preferred method. Stranded colourwork pattern is charted. You can add (or subtract) width by adding (or subtracting) 4 stitches. Length can also be increased by adding more rows of MC before beginning decreases (though additional yardage will be required). Links to helpful videos are provided in pattern. In colourwork chart, increase rows for thumbs should be highlighted in yellow on rows 1, 4 and 8. 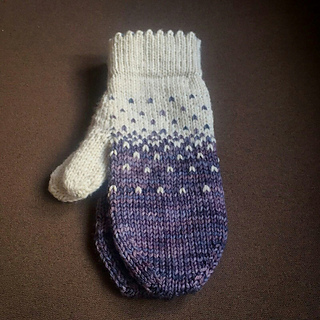 Many thanks to atreehuggerswife, eveariel, hickorie, kelliewhistler, and natalia; who speedily test-knit the pattern, and kindly (and graciously) alerted me to a few errors, some large, some small.